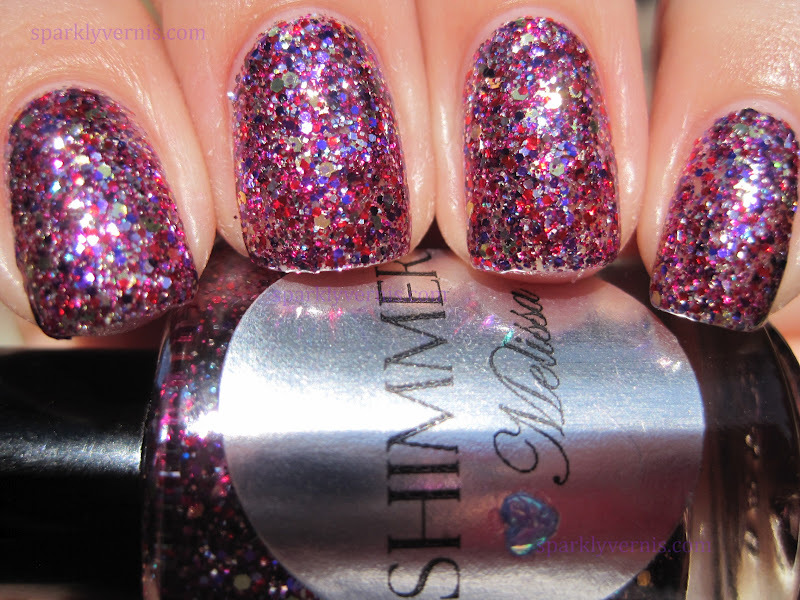 I'm so impressed (and in love) with this brand. 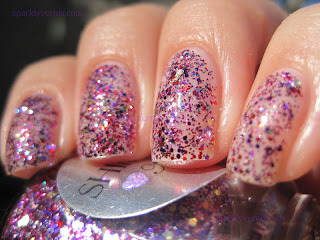 The formula is one of the best I've seen for dense glitter nail polish and the quality (read: sparkly factor) of the glitters is just amazing. 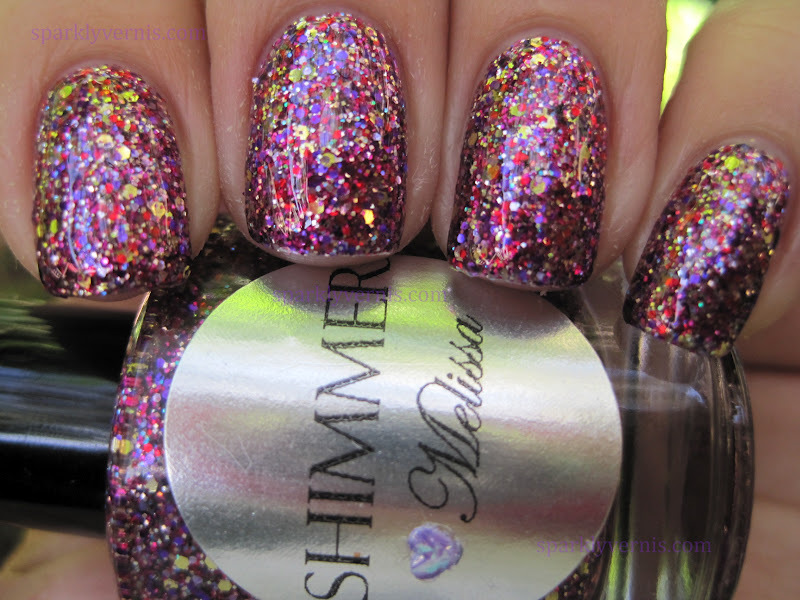 Melissa is no exception, this is just gorgeous. 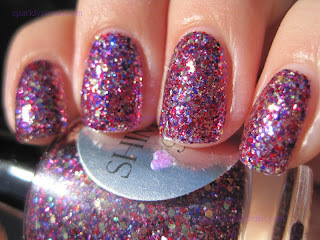 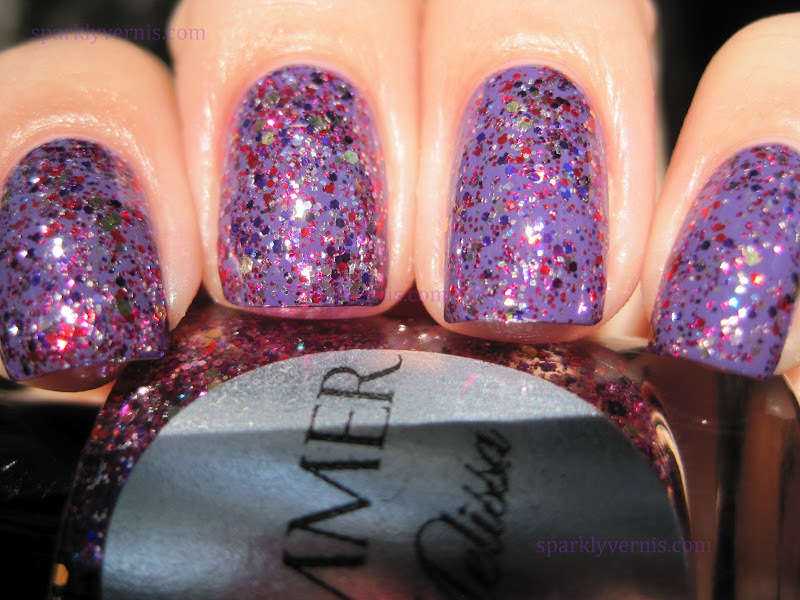 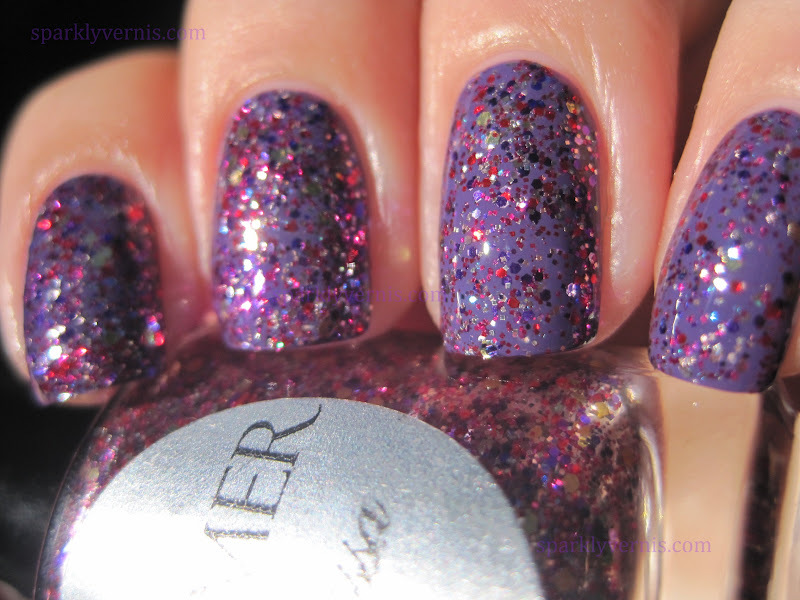 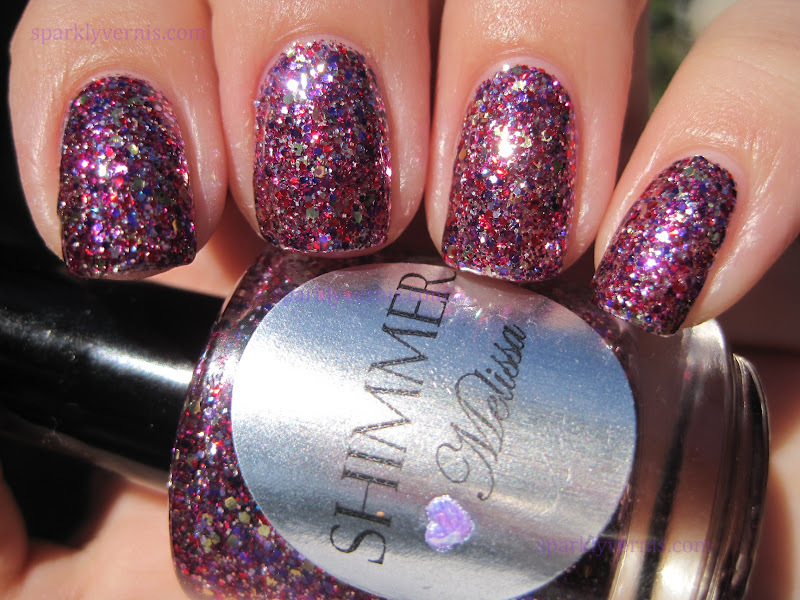 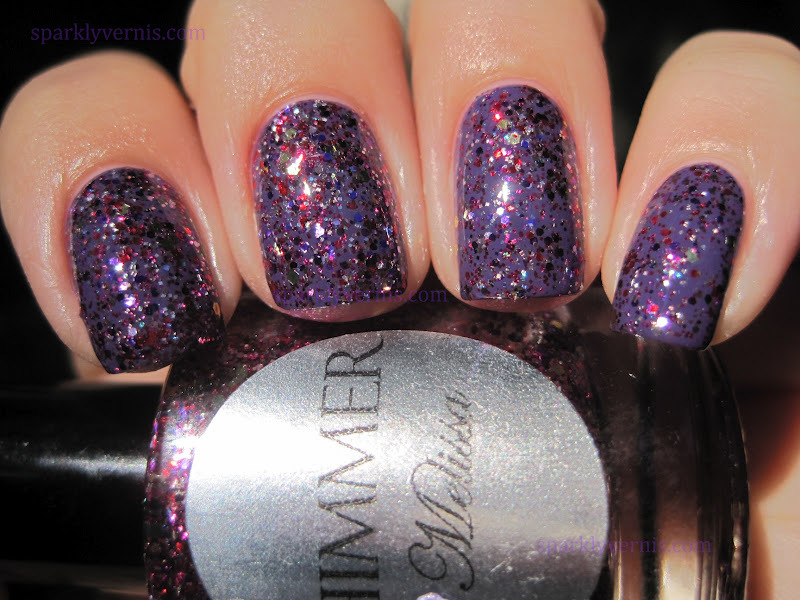 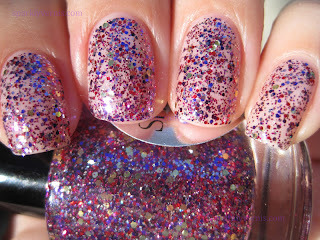 It's a blend of small purple, pink and red glitters with medium gold. 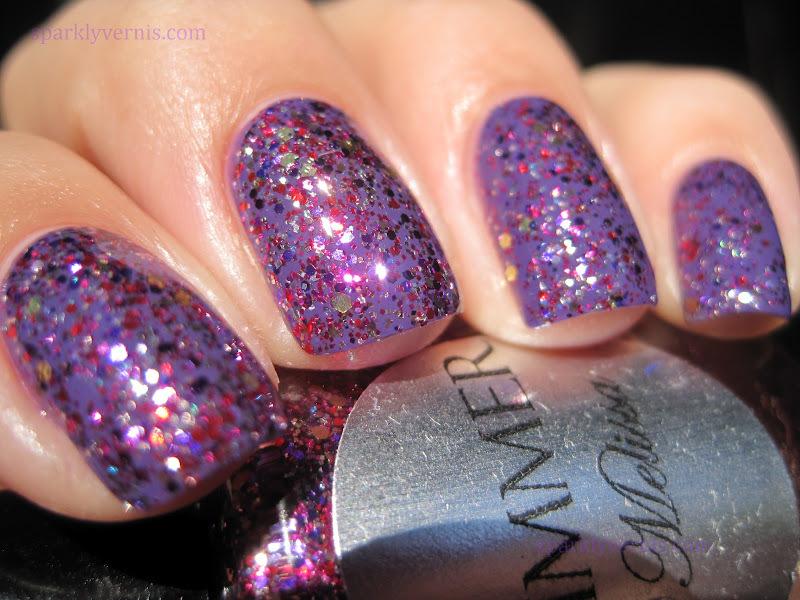 I thought the colors would clash, but it balances out so well. 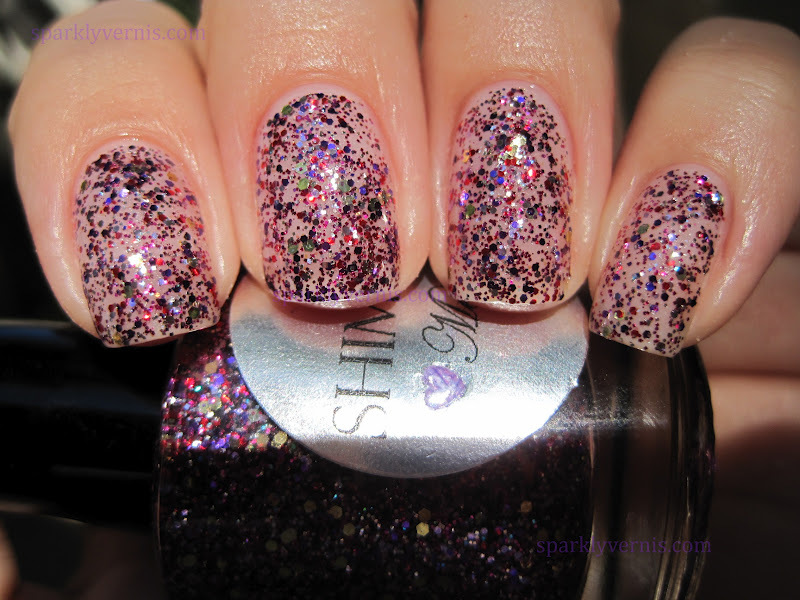 I love it that the base is clear on all of the Shimmers, that way they can be used over light colors. 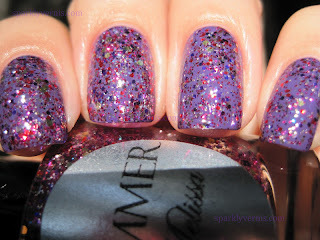 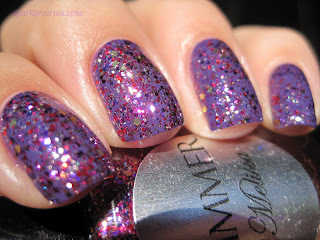 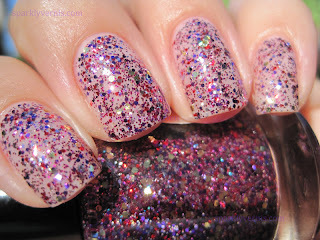 Don't get me wrong, I love glitter over dark colors, but in the summer I preffer to wear my pretties over lighter ones. Random note: I don't know if it's a pet peeve of mine or not, because I haven't tried too many indies yet, but I've noticed some of them have a strong scent. These, on the other hand do not, I love the smell of Shimmers.